We cooked a 17 pound turkey on Thanksgiving for FIVE people, which means we’ve been eating a lot of turkey ever since. It’s a good thing we like turkey. I’m finally in the homestretch of using it up. The carcass is being used to make a crock pot full of turkey stock/broth. Tonight we will have sliced turkey with gravy and the slow cooker green bean casserole I decided not to make on Thanksgiving that’s cooking away on the counter now. And I’ve got a yummy sounding casserole planned for tomorrow. Yesterday, I made this super simple crock pot turkey vegetable soup. After a long weekend of indulging, it’s just what we all wanted. 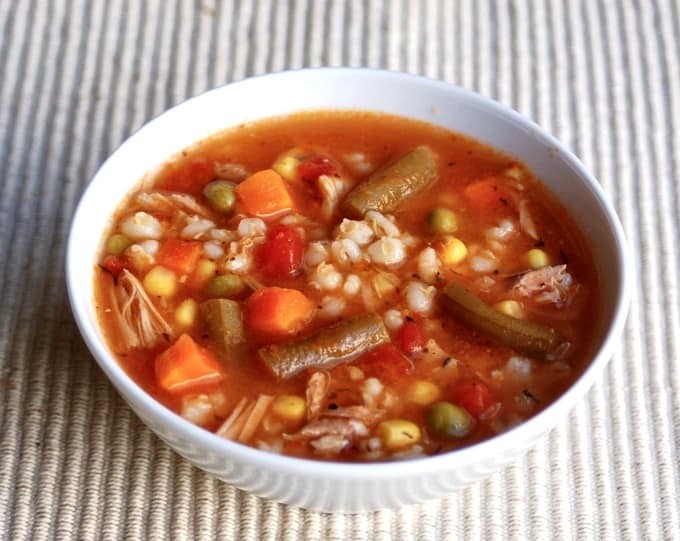 How Many Calories/WW Points in this Crock Pot Turkey Vegetable Soup with Barley? According to my calculations each 1-cup serving of soup has 162 calories and *2 WW Freestyle SmartPoints, provided you use turkey or chicken breast. For those of you who have asked, 1 cup of cooked barley has *6 WW Freestyle SmartPoints (1/4 cup uncooked barley has *5 Freestyle SmartPoints). This soup recipe will also work with WW Simply Filling/No Count technique. 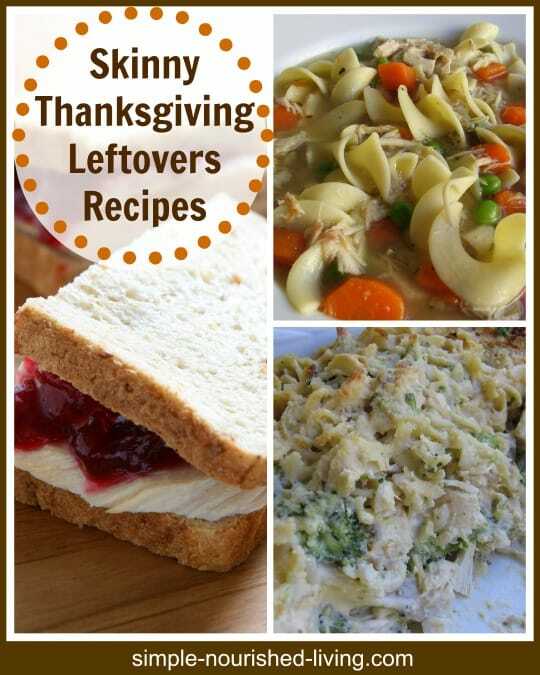 This recipe is one of those easy dump and stir recipes that takes just a few minutes to toss together. Perfect after a long weekend of cooking when you’re ready to take it extra easy in the kitchen. It’s a perfect way to use up leftover rotisserie chicken. I avoid having to chop vegetables by opting for canned tomatoes and frozen mixed vegetables. Use whatever combination of vegetables you prefer. I used barley in this soup. I love its rich, nutty flavor and a dense, chewy texture. But you could always leave it out or include some other whole grain such as brown rice, wild rice or farro. Enjoy! 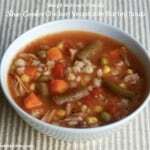 If you’ve made this Turkey Vegetable Barley Soup, please give the recipe a star rating below and leave a comment letting me know how you liked it. 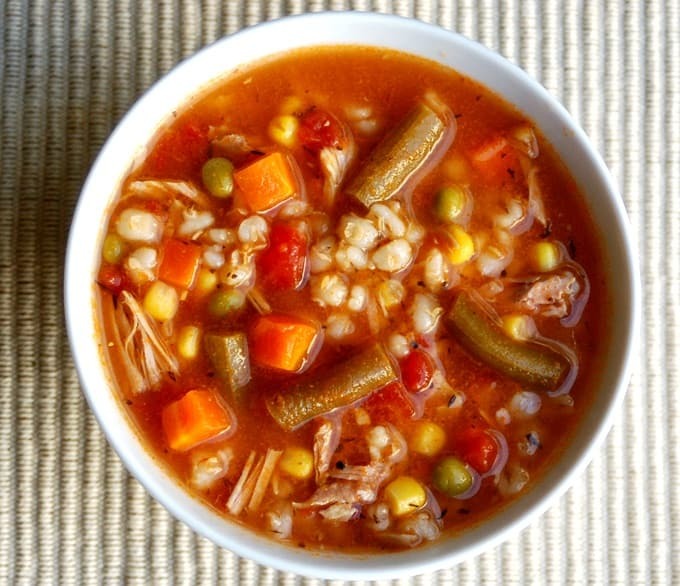 This Crock Pot turkey vegetable soup is an easy, healthy, and delicious way to use up some of your leftover Thanksgiving turkey. Chopped cooked chicken would work too. Add the chopped turkey tomatoes with their juice, broth, vegetables, barley, thyme, bay leaf, salt and pepper to the slow cooker. Cover and cook on LOW 6 to 8 hours, or until the barley and vegetables are tender. This looks great. I love barley in soups. Making this right now. Love Barley soups! What are the Freestyle Smartpoints for this recipe? Thanks! I made this today and it was really great. This is a winner.